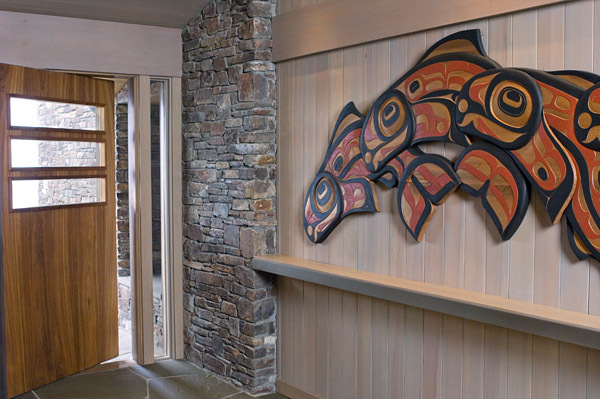 “Salmon Run” cedar panel custom designed by Rande Cook. Salmon swimming towards the front door welcome those who enter the home and symbolize abundance. Rande is a master at designing pieces of the right scale for challenging architectural spaces.